Growing up on what she described as an ‘island’, there was little doubt that Stephanie Fraser would learn to swim, but becoming one of the best-known swimming coaches in Guyana and cementing her place in a male-dominated arena, happened literally by accident. While involved in athletics, an accident saw Fraser injuring her knee and swim therapy was the suggested treatment. Thus began her love for the sport and encouraged by her first swim coach Vibert Charles, it developed into an affair that has become sweeter with time. But the mother of two is not only into swimming, she has also done judo and karate. Furthermore, she is an accomplished seamstress, so much so that at one time she outfitted swimmers for local and overseas meets. Maybe her drive was being a single parent and knowing that she needed to provide for her offspring, but she says swimming has always and will always be her love. Describing herself as being “very strong willed”, Fraser shared that she was exposed to domestic violence, but as soon as she saw it, she left the marriage and has been focused on her children since as their father never looked back. She is proud of the achievements of her children, Dee-Anne and Nicholas even though at times she had to do three jobs. “Sports really helped them and I would say parents please get your children into extra curricula activities, the discipline helped,” she said. “I had three jobs and I didn’t have time for anything else. I was so busy. I had to do it for us to live comfortably. When I look back, I made some mistakes but I would do it all over again. I love sports and I love to see what it does for kids, the discipline that it gives them. But this new generation, it is really a struggle to keep them in line,” she said during an interview with the Sunday Stabroek. “I can’t ever not swim, even if it is just doggy paddling,” Fraser said. Her exploits led to the establishment of one of the most sought-after swim clubs – the Dorado (the name of a fish) Speed Swim Club — some 25 years ago. Today it is still a force to reckon with. She boasted that most of the swimmers who represented Guyana at the Olympics came from this club. Fraser hailed from Santa Rosa on the Moruca River and said she grew up on an island; everywhere they wanted to go, whether it was to school or church, they had to paddle in a canoe. In the dry season they sometimes used the savannahs. Fraser grew up with her grandmother, a self-taught midwife, who worked at the hospital. She attended the convent school in the area and during that time the teachers, who were nuns, came from Canada, Poland, Germany and England and the students were exposed to a potpourri of cultures. “People would say Santa Rosa had a very good educational background,” she said. She left Santa Rosa in her teens and initially started training to become a nurse as it was the wish of her grandmother but after one year, she realised it was not for her and opted out, joining the administrative staff of the St Joseph Mercy Hospital instead. It was during those years, while she played sports and was involved in athletics that she sustained a knee injury. Swim therapy followed and swimming became her passion. Even though she did leave it at one time to pursue judo, she returned and in 1974 received her swimming instructor’s certificate. It was during her judo days that she met her husband, who was her instructor, and they got married and had two children but the marriage ended after nine years. Following this she returned to the Mercy Hospital and worked in administration for many years. 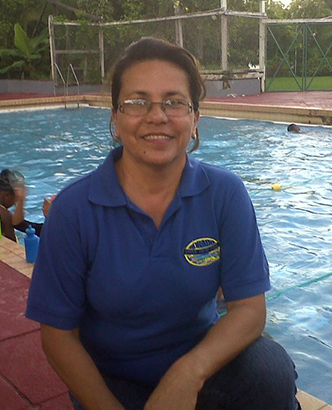 One afternoon, seeing how tired her daughter was after classes, she decided to teach her children to swim, after all she was a coach. This was done at the then Hotel Tower pool. Her constant visits led to her eventually teaching other children to swim, which she described as an “amazing” but sometimes “overwhelming” experience. Eventually, she had so many children to coach that she was forced to recruit some of her friends as coaches and the demand forced her to resign from her job at the hospital. She recalled that it was herself and Edna Rodrigues along with another friend who were female coaches and she believed the male coaches felt threatened, which forced them to work harder to gain some recognition. But she kept going and was boosted by the performance of the children she coached. She noted, however, that in Guyana one has to do it for the love it. Her days are long; they start at 4 am. 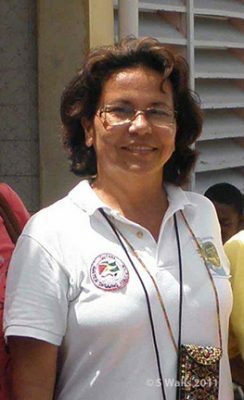 She has been doing this for 25 years and plans to retire next year January, but will remain active in the administrative aspects of the club. 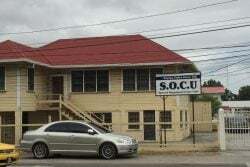 In 1992, the club moved from Tower to the Castellani pool following a presentation to Janet Jagan, the wife of the then President Cheddi Jagan. This move led to the resuscitation of the swimming association and at the same time Fraser also got herself trained in other areas, inclusive of massage therapy. 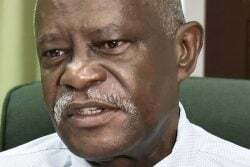 She has had many satisfactory years but Fraser hopes that Guyana will soon have a sport policy that will not only help swimmers but all sportsmen and women. 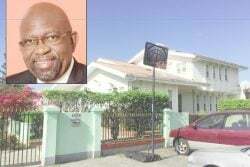 She shared that one was drafted some 15 years ago but the past administration did not implement it and after three years in office this new administration has also not worked on ensuring Guyana has such a policy. She pointed out that the policy would ensure that sports is started in a serious way from the primary level as while many schools have slots of Physical Education (PE) this is seldom a reality. She recalled that in the past some PE teachers had stated that they were sidelined and not promoted and gave up. A policy, she posited, would see youths who want to become professional swimmers being allowed to do so on a serious level. They are unable to do this right now. “It takes about ten years for a swimmer to meet the elite level and for them to really improve and perform creditably, it takes six hours of training, gym, dry land and water,” Fraser said and because of the country’s educational system it is an uphill battle. But during her hectic schedule as a swim coach, Fraser, a certified lifeguard, still found time to teach herself to sew. Years ago, she had a thriving business as a seamstress, but today she sews for herself, grandchildren and friends. But it has always been about swimming. “Because of swimming I did a lot of things… Swimming opened many doors…,” she stated. Things are a bit better now as over the years the world body began giving grants to Guyana, which made it easier. “I don’t think the Guyanese people appreciate coaches and teachers in general because you have to do research, keep abreast with the rules worldwide so you can pass it on to the athlete,” she said. Fraser also works with persons who have disabilities and for her commitment she received a Medal of Service in 2011. 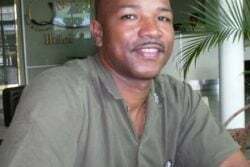 Fraser has also worked as the aquatic administrator/swimming coordinator at the former Ministry of Culture, Youth and Sports from 2000 to 2011. In 2009 she was a recipient of the Guyana Amateur Swimming Association service award and has been a board member of the National Sports Commission for many years.